We here at thefanboyseo.com are so stoked for the the just-announced God of War 4 which was revealed during the Sony Playstation panel in E3 2016. Earlier today we had Sony’s showcase for this year’s E3. Everyone was anticipating a normal opening with the PA announcer saying the name of a top honcho but boy oh boy were we wrong. Sony just had an orchestra play to open things up and it was kinda confusing at first but then it became clear that the tune they were playing sounded like something Vikings would listen to. A video package started to play featuring a worried kid talking to someone who has a very familiar ominous voice. Then, from out of the shadows came out Kratos and boy does he look bigger and meaner especially with a new bearded look. 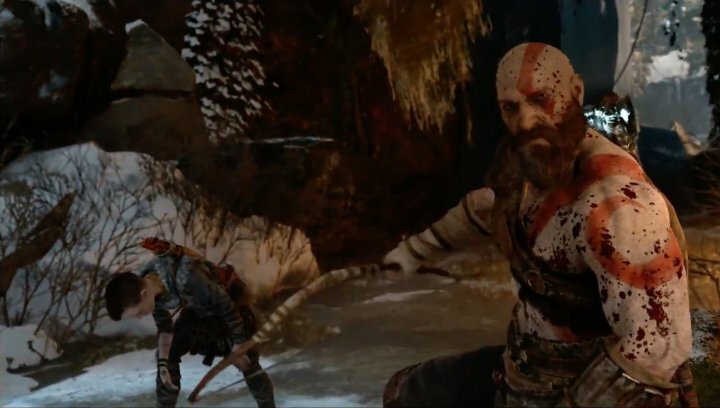 The video turns out to be gameplay footage for the new God of War game. The graphics look top notch, the camera angle is new and combat looks smoother and less dependent on hack and slash elements. This looks set to be more of an action-adventure game with hints of the old God of War coming into play. The level up system seems to be closer to an RPG rather than the old way of using orbs to grow your character. I really like how combat now feels smooth as silk and is not as clunky as before. The child might be the most interesting element of the whole trailer. He uttered the words father while referring to Kratos and that he looks set to be groomed by the latter to become an excellent hunter and fighter. Aside from that, the boy can fire lightning arrows—yes lightning arrows! I think that this game will serve as the introduction to this boy’s story with Kratos passing the torch. Aside from that, looks like the ending of the 3rd God of War game gave Kratos amnesia since he survived the ordeal but does not remember his past.